Rub my belly and I'll purr for you! This little one will purr loudly for a bely rub if he could! ! 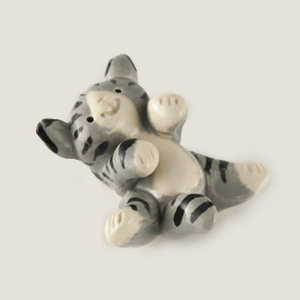 At 1.5 inches tall, you need tiny fingers to tickle his tummy!